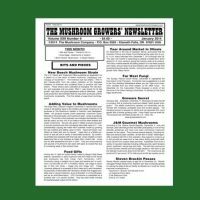 Annual Subscription to The Mushroom Growers’ Newsletter for customers outside the U.S., Canada and Mexico. Please order this item ONLY if you want us to ship it to an address OUTSIDE the USA. The Mushroom Growers’ Newsletter is published on recycled paper every month and sent to you via International First Class mail. A one year subscription gets you 12 complete issues – one per month. Weekly Terminal Market Prices from Chicago, Dallas, Miami, New York and San Francisco plus spot prices from places like Paris, Poznan, Guadalajara, Toronto and London. 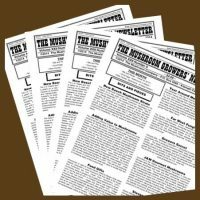 One or more articles that address current topics of interest to mushroom growers. These article address things like consumer trends, marketing opportunities, mushroom production information from countries around the world, book reviews and anything else we uncover that can help your bottom line.